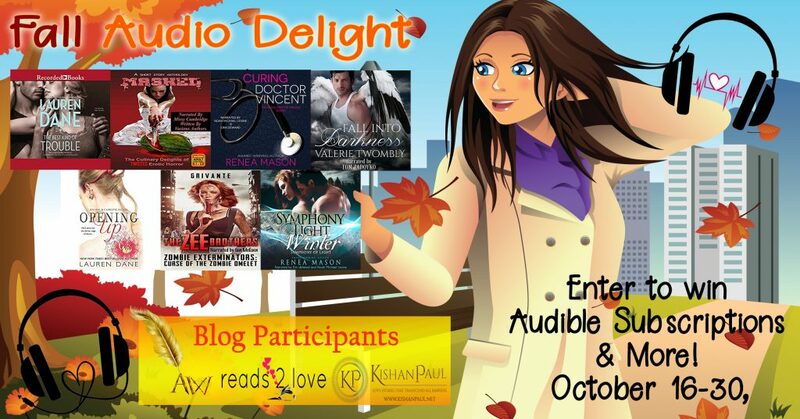 Fall in love with audiobooks! Discover Lauren Dane, Grivante, Renea Mason, and Valerie Twombly. We’re giving away Three 3-month Audible Memberships and over a dozen audiobook codes. We even have prizes just for UK Audible users! Already an Audible Member? Redeeming a 3-month membership prize gives you three credits immediately. 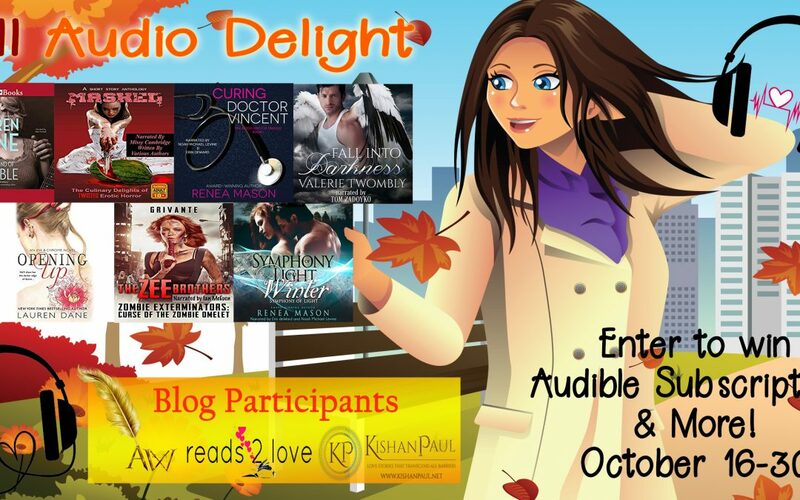 Visit http://reads2love.com/audiodelight to enter and don’t forget to share! Contest ends October 30, 2017.